One example of meticulous use of EPIS is the US National Institute on Drug Abuse (NIDA) Juvenile Justice Translational Research on Interventions for Adolescents in the Legal System (JJ-TRIALS). In this major multiple center cluster randomized implementation trial, EPIS was used throughout the implementation phases and across contextual levels to stage the implementation process, select quantitative and qualitative measures and identify important outcomes. JJ-TRIALS is probably the best and most explicit example of application of the EPIS framework. Indeed, JJ-TRIALS may be one of the best examples of a rigorous, deep, and thoughtful approach to applying an implementation science framework to a large-scale implementation initiative. 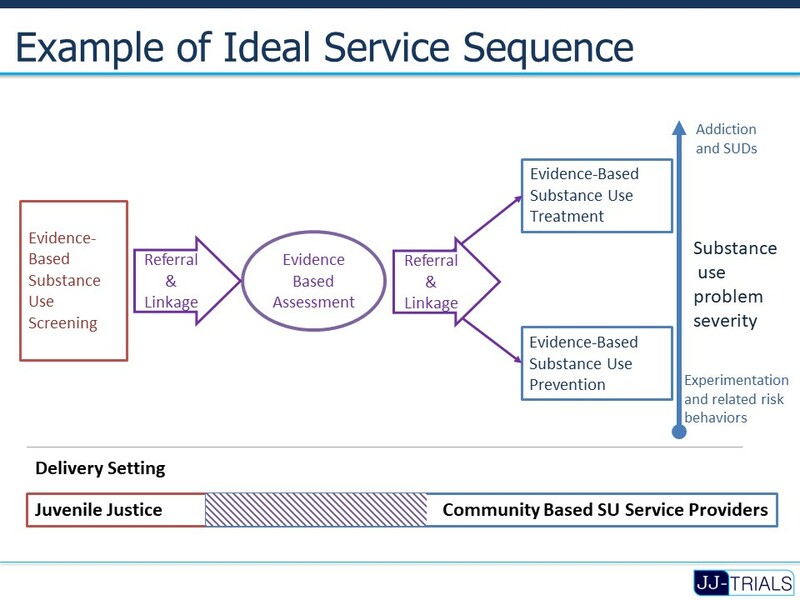 At the suggestion of our juvenile justice system partners, The JJ-TRIALS team including researchers, nida program, and community stakeholders adapted the EPIS framework to better represent the cyclical nature of the implementation process.